Then again, if you DON'T say it, maybe Vermont will cease to exist. Is it possible to hang a black veil over a podcast episode description? Mary Kate Wiles comforts Marissa in her time of crisis. Because...TODD!!! TOOODDDDD!!!! OMG BONUS! Special Christmas Episode with My Dad! It's the Podcast's First Anniversary Special! 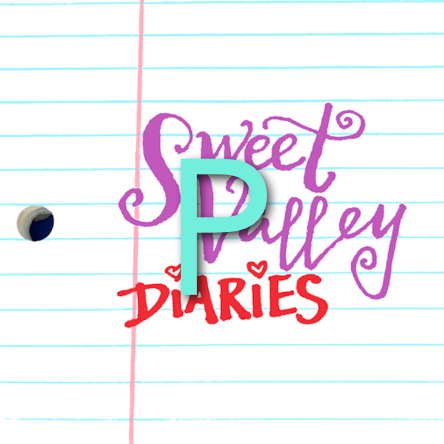 Sweet Valley Diaries is a year old! Happy Anniversary, podcast! What a first year. For listening, for telling friends, for rating and reviewing, and to those who participated and helped and advised and supported: THANK YOU. Because of you, there is more to come. Now have a ton of fun with this…CLIP SHOW! Extra Drama #20: Atypicals of Sweet Valley! Popular fiction podcast (and soon to be YA series!) The Bright Sessions might just be the opposite of Sweet Valley High. Creator Lauren Shippen and Marissa speculate on what would happen if the two universes collided (hint: DRAMA!). This is the Season Two Finale! Make sure to subscribe so that you automatically get the latest episodes when Season Three starts, and any special bonuses in the meantime! RIVERDALE's beautiful nonsense: "Cheryl Doesn't Miss"
Mark Sullivan sits down at the microphone and before Marissa can even hit record, Pandora’s Podcasting Box cracks open. For a few minutes, this Sweet Valley High podcast becomes a movie podcast, a history podcast, a theater podcast, a politics-of-representation podcast. You guys, Sweet Valley is as deep as you wanna make it. FYI, Allen Walters IS the under-appreciated Oracle photographer.